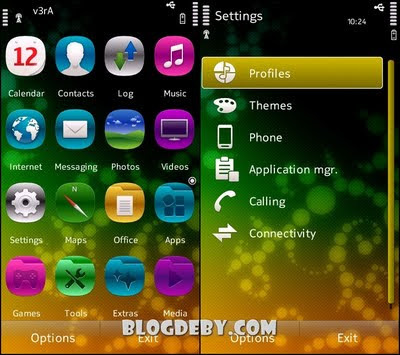 Here is another awesome theme for your S60V5 gadget. The icons are really cool and the color as well. You will not regret this one. Here is the screenshot.